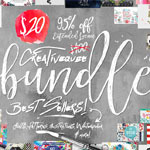 The most popular lady in all of Font Land, Samantha, is still on sale and continuing to generate lots and lots of buzz, and questions. The information below also applies to Zelda, Dom loves Mary, Gioviale, FunkiDori and this fantastic bundle of 8 more Laura Worthington fonts which are also on sale right now. Where’s the best place to get Samantha? The best place to buy is Mighty Deals, when it is for sale there it is deeply discounted. 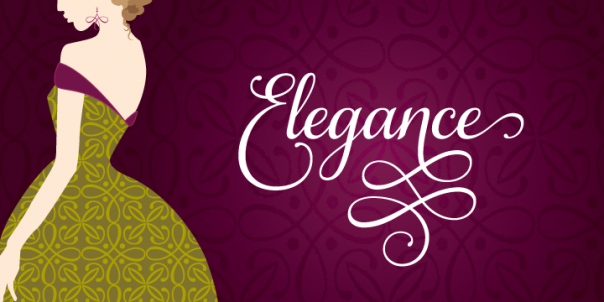 $55 package includes Upright Regular, Upright Bold, Italic Regular and Italic Bold plus matching alternate characters (with swirls), ornaments and catchwords for each of those four versions plus the versions you need if you are a web designer serving live type on the web. If you don’t know what web fonts are then you do not need them. Can’t you just recommend something? 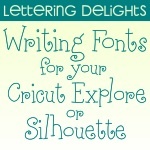 If you have the free version of Silhouette Studio, I recommend the $17 Upright version and the $17 Italic version. You can “bold” your fonts with the offset feature. If you have other cutting software, I recommend the $17 Upright version. 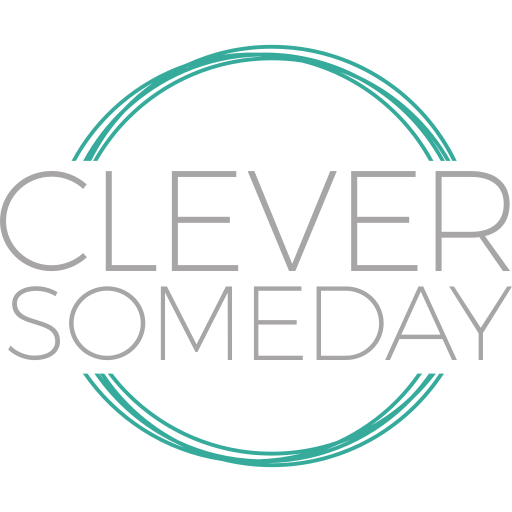 You can “bold” your fonts with offset and “italicize” them with the shear tool. 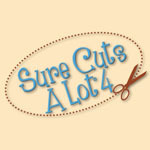 Yes, these fonts are also licensed for use on items diecutters typically sell (words and phrases, not individual characters). For licensing details please see Laura’s FAQ’s. Unzip the folder and double click on the font file you want to install. Click the install button. You should see the fonts in the font list in your software the next time you open it or log on. You can find more specific instructions for installing fonts for your operating system in your computer’s help. Which fonts do I install? Either OTF or TTF, not both. For Mac I recommend installing all OTF files. For Windows I recommend installing all TTF files. That is just what seems to be working best for me. I installed 4 fonts but only see 2 listed in my software. This is normal, regular and bold are combined from your computer’s perspective. How do I access the extra glyphs? Also please see this link for written instructions and a couple of corrections. I’m using Windows Character Map, but the glyphs are so small. I found the Private Use Area but it is empty. You likely have an earlier version of Samantha and need to email designer Laura Worthington (hello at LauraWorthingtonType dot com) with your receipt so she can send you the latest version. I get an error in Cricut Design Space on my Mac when I select Samantha. Samantha is an advanced font that requires advanced techniques but yields advanced results. 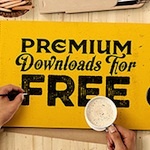 I recommend that anyone who is apprehensive download Milkshake, which is a free font by the same designer. It has a limited number of alternate characters but enough that you can practice the steps that are needed. Can I download it to more than one computer? Yes the license allows for one person on up to five workstations. How can I print out all the characters? There is a PDF for that here. How can I get access to the special characters on my iPad? You will need 2 additional apps to access the special characters in Samantha in the Cricut Design Space iPad app. One called AnyFont that lets you install fonts on your iPad. The other app called Unicode Character Viewer to let you access the special characters. I am having trouble using Samantha in Cricut Design Space since the 2.0 update. Any advice? Try this sequence: Click to make a new text box, type some dummy text from the keyboard, change it to Samantha. If it will not let you change the font, click on the mat and back onto the font box to re-select it and try again. Once you have Samantha selected, paste in your characters from Character Map, Font Book or whatever you use to access the alternates. The characters I copied, don’t match the ones I pasted. If the characters don’t match what you copied, try different versions/styles of Samantha (bold, bold italic, etc) because they have to match or you can get the wrong characters. Hi Kay – I have a Mac and use Design Space. When I follow your steps to paste the characters into DS it seems that no matter what letters I have copied, they all paste as one of the versions of the letter “f.” Any idea why this is happening and how to fix it? This is a common problem. It is the result of a mismatch in the font copied and the font pasted. They have to both be exactly the same such as Upright Bold vs Upright Regular or Italic Bold. Thanks Kay. I only have the Samantha Upright Swash Regular, so that was what I was copying and pasting. That’s a new one on me, then. DS has many text related bugs that have driven many of us to set our text outside of DS and then import, especially since the last update. That might be what you have to do, unfortunately. I have the Cameo 3. 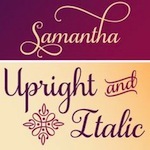 Which Samantha font should I get? It depends on software, not machine. So choose based on whether you have Designer Edition or not as described above. Make sure you select the correct Samantha font for the text box in DS before you paste. You might also want to try a different browser.